We're still building a list of them here. While we continue to add to this list, feel free to Contact Us. Do I need my own equipment for beginner instruction? If you're a beginner, you don't need to buy the big stuff. We provide the bow and the arrows. But you will need to buy two small items (finger tab and arm guard). A finger tab protects your fingers as you draw back the bow string and during the release of the string. The arm guard protects the forearm from the string. Why do St. Mike's and Bishop Strachan students not pay a fee? We coach the archery teams for these two school and get the use of their gyms. Continued shooting with our club is part of their training with their school team. This is a tricky question and there's no 'right' answer. I'll fill in more details in the future. What Programs Are Offered In The Summer? The summer is a time for us to focus on the high performance athletes. They have a fairly busy competition and training schedule. We don't have a clear-cut lower age limit. Based on our experience, we find that age 12 works fairly well for younger athletes, but there are occassional exceptions. At younger age (and older ones too), it is vitally important to participate in other sports and training. Swimming, soccer, hockey, lacrosse, running, ultimate, fencing, gymnastics, baseball and many other sports are all beneficial. 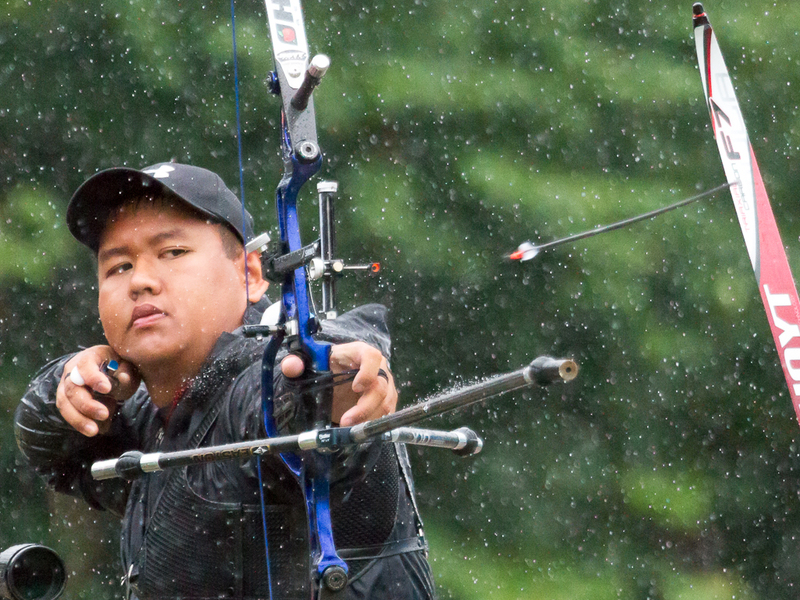 The skills and strength acquired from other sports directly help an athlete's archery.